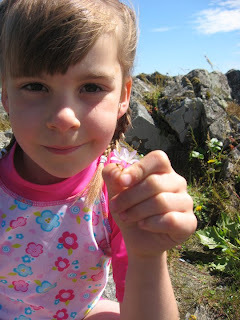 Sowing Dandelion Seeds: I Saved a Baby's Skin with UV Skinz! I Saved a Baby's Skin with UV Skinz! For every order placed during the month of May you will receive a free baby swim shirt that you can give to your own little one, a niece, nephew or friend's little one or to a charitable organization! Also if you use the code BLOGS15 you will receive a 15% discount on your order! So -- a 15% discount AND a free baby swim shirt! Rhonda Sparks, the founder of UV Skinz, lost her husband at the age of 32 to melanoma. Her goal for UV Skinz is to "help families live sun safe, while never forgetting how important it is to LIVE and HAVE FUN outdoors!" 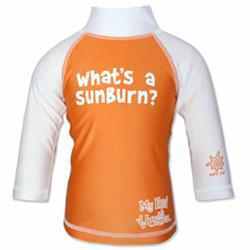 In honour of skin cancer awareness month, check out UV Skinz to find amazing UV protection clothing/swimwear for all ages! Don't forget to use the code BLOGS15 to receive a 15% discount on your order and enjoy your free baby swim shirt! I'm a Jesus follower; wife to my hubby of 20 years; and mom to an artsy 13 year old & a charming 11 year old. I am an elementary teacher turned stay at home mom turned homeschooler who is full of wishful thinking and a love of all things childish. No one likes a copy cat. Don't reuse any content (photos, text, etc) from this site in any way without written permission.